1. 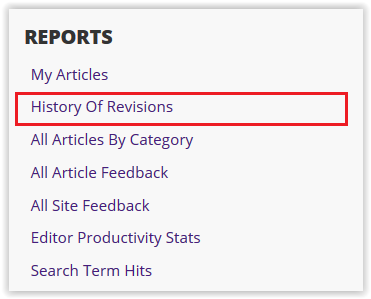 Click History of Revision under the Reports menu. 2. Select either Filter By Username or Filter By Content Unit. 3. Fill in the desired information and click Run Report when finished.